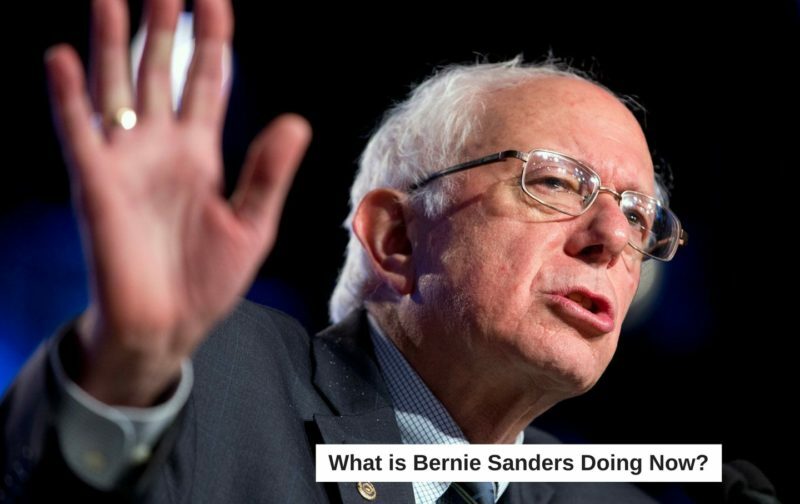 HomeNewsWhat Is Bernie Sanders Doing Now? What Is Bernie Sanders Doing Now? Being out of the national spotlight since his defeat in the Democratic primary has left many people asking, “what is Bernie Sanders doing now?” Unsurprisingly, Bernie Sanders is doing exactly what he’s always done: fighting for the issues he believes in. Here’s an update on what Bernie Sanders has been doing since the Democratic National Convention. Sanders created a political group called “Our Revolution” in an effort to materialize his grassroots effort into a lasting political movement. The group would strive to accomplish major progressive goals, such as limiting the role of money in politics. The non-profit organization is still in its youth and is going through some serious growing pains. Many staffers quit after Jeff Weaver, Sanders’ Campaign Manager, was put in charge of the group because many thought he would mismanage money the group received. Though Our Revolution may not be the legacy of Sanders, its core message certainly will be. Sanders has become the face of the far left in the United States and will almost certainly be remembered as one of the leaders, if not the father, of the progressive movement in the United States. Bernie Sanders did not hesitate to show support for fellow progressive Keith Ellison (D-MN), who is running for DNC Chair. Bernie Sanders was the first major politician to endorse Ellison, but certainly not the last. Chuck Schumer, Nancy Pelosi, Elizabeth Warren, and more have supported Ellison for DNC Chair. To read more about the DNC Chair candidates, read our article on the state of the DNC Chair election. On May 16, 2017, Bernie Sanders joined John Kasich (R-OH) on stage during a primetime CNN debate, which you can watch in full here. Sanders and Kasich discussed the current state of the Trump Presidency, the ongoing investigation into Russia’s potential interference in the 2016 election, and the fallout of FBI Director James Comey being, among other topics. 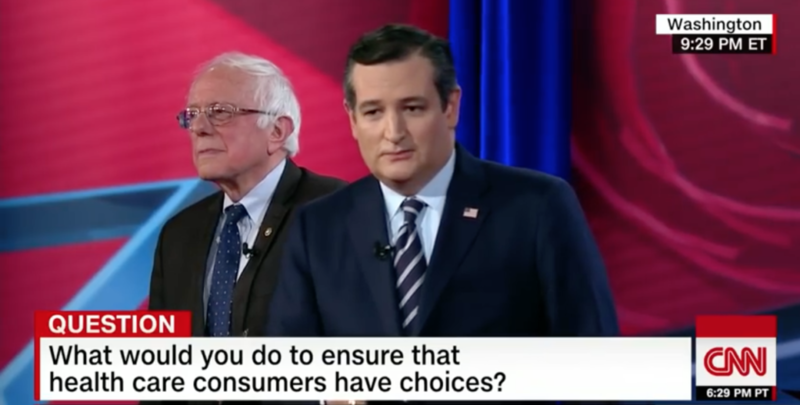 Bernie Sanders also debated Ted Cruz on CNN about the future of healthcare in the United States. The debate garnered a huge viewership, especially from younger demographics. Sanders and Cruz covered many topics including the repeal of Obamacare, the high costs of healthcare in the United States, and whether or not universal healthcare is the right next step for the United States. When people ask what is Bernie Sanders doing now, they often want to know what he’s doing in terms of policy. After all, Sanders is a Senator from Vermont, so he’s busy at work speaking on the Senate floor. 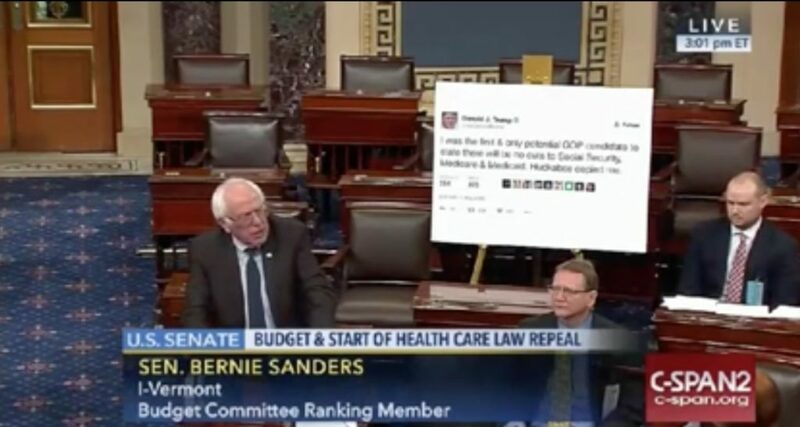 Sanders made headlines when he used an enlarged Trump tweet as a prop when discussing Trump’s positions on Social Security, Medicare, and Medicaid. In a similar vein, it has also been announced that on Tuesday, January 10th, Sanders will propose an amendment to increase the number of votes needed to make cuts to Social Security, Medicare, or Medicaid. Like millions of other Americans, Bernie Sanders has been active in public demonstrations in defense of United States healthcare and women’s rights. On Sunday January 15, Sanders joined many other top Democrats in Michigan at a rally to defend healthcare, which is under threat as the Republicans take over both the Oval Office and Congress. Similar rallies were held across the country, drawing massive turnouts. 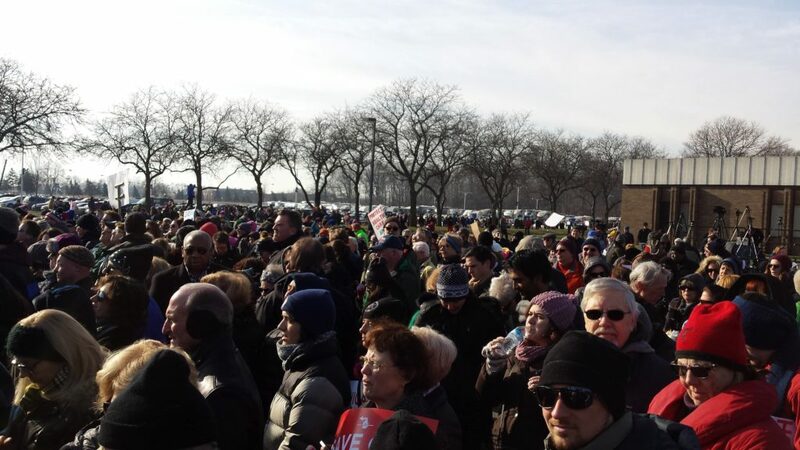 Thousands in Michigan attending a healthcare rally with Bernie Sanders. Sanders also kept up the activism while attending a Women’s March in Montpelier, Vermont. Millions across the country marched in solidarity for women’s rights, just a day after Trump was inaugurated. We’re not just here to answer what is Bernie Sanders doing now. Sanders was incredibly busy during the 2016 Presidential election, despite losing the Democratic primary. Here’s what Sanders was doing during the 2016 presidential campaign. As he stated throughout the Democratic primaries, Bernie Sanders campaigned with Hillary Clinton in order to defeat Donald Trump on election night. Sanders made three stops in New Hampshire, speaking about big issues such as universal healthcare and tuition free college. Sanders has made no secret about who he supported in the Presidential election, despite a tough primary loss marred by leaks indicating collusion. Prior to the Democratic National Convention, Debbie Wasserman-Schultz was forced to step down as DNC Chair for the Party’s treatment of the Sanders campaign. In recent days, CNN severed ties with interim DNC Chair Donna Brazile after it was made public that she leaked town hall questions to the Clinton campaign. In addition to campaigning for Hillary Clinton, Sanders campaigned for down-ballot Democrats across the country. In New York, Sanders campaigned for Democratic Congressional candidate Zephyr Teachout. While in Milwaukee campaigning for Clinton, Sanders joined an event with Democratic Senate candidate Russ Feingold. Sanders also worked to fundraise for Democratic Senate candidates Katie McGinty (D-PA), Maggie Hassan (D-NH), Ted Strickland (D-OH), and Catherine Cortez-Masto (D-NV) in the Democrats’ effort to retake a Senate majority. Bernie Sanders campaigned mightily for Proposition 61 in California, a initiative to combat price gouging by drug companies in United States. Sanders starred in an ad in support of Prop 61, stating, “It will be a real blow against this greedy industry that will reverberate all over America.” Prop 61 ties directly into one of Sanders biggest primary campaign issues: universal healthcare. Sanders also campaigned in Colorado for Proposition 69, an initiative that would have brought a single-payer healthcare system to Colorado. Sanders made universal healthcare a major point of his primary campaigning, stating that healthcare for all in the United States is long overdue. Although a majority of Americans support a federally funded, single-payer system, it looks like “Medicare-for-all” will have to be brought into law on a state-by-state basis. Proposition 69 failed to pass.